The training workshop aimed to increase the CSO’s knowledge and understanding of the Convention and their capacity to use its content in their day-to-day advocacy. The training was targeted to train CSO delegates from twenty (20) target countries from five sub-regions in Africa. 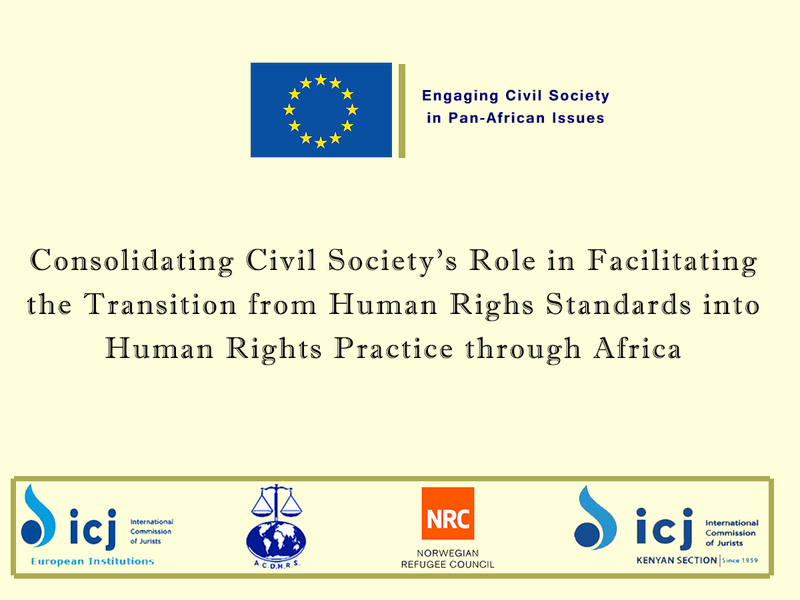 The training workshop is part of the implementation of the DEVCO project entitled: “Consolidating Civil Society’s Role in the Transition from African Human Rights Standards to Practice”. This is a three-year project funded by the European Union and implemented in collaboration with civil society organizations (CSOs), including women’s groups, youth and human rights defenders (HRDs), trade unions, justice sector actors, media practitioners and African Union (AU) institutions and mechanisms especially Special Rapporteurs and Working Groups members of the African Commission on Human and Peoples’ Rights. (3) to strengthen national and regional responses to displaced persons and other vulnerable populations. The project targets civil society organisations, including youth organisations, women’s human rights organisations and movements, national human rights and adjudicatory institutions, human rights defenders (HRDs), refugees, internally displaced persons, media organisations, academics, research institutions, AU human rights institutions (Commission, Court, Committee of Experts on Rights of the Child and Pan African Parliament), AU sub-regional institutions. The final beneficiaries of the project are men, women, youth, children in Africa, especially vulnerable populations. • CSOs understand their roles with respect to the prevention of internal displacement and protection of, and assistance to, internally displaced persons. • CSOs are equipped with skills to effectively engage with the African human rights system (African Commission, Committee of Experts on the Rights and Welfare of the Child and the Conference of State Parties to the Kampala Convention. 3. Date and Venue: 07-08 June 2018 in Addis Ababa, Ethiopia. 4. Language: The training workshop was be conducted in English and French with simultaneous interpretation services. 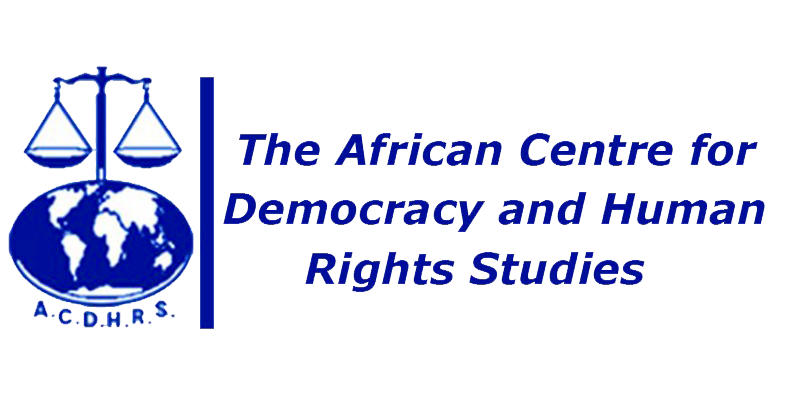 • Opportunities for CSO engagement with the African human rights system (African Commission, Committee of Experts on the Rights and Welfare of the Child and the Conference of State Parties to the Kampala Convention). Note: A detailed agenda and program of events are attached to this concept note. 6. Participants: The training workshop brought together 20 CSOs drawn from African countries on a ‘country priority’ and ‘regional representation’ basis. In order to ensure sustainability, to encourage partnership and guarantee a long term engagement, each region is represented by a team of four (4) CSO delegates representing different institutions and other actors involved in IDPs. In selecting these participants, priority was given to countries and regions that have been remiss and/or irregularity in state party reporting; countries with major displacement issues and there has been poor attendance of civil society before the AU human rights mechanisms. The training was organized by Norwegian Refugee Council (NRC). The Norwegian Refugee Council (NRC) is a non-governmental, humanitarian organization which provides assistance and protection to people affected by displacement due to conflict. NRC works in 28 countries with approximately 9,000 staff and specializes in five core competencies: shelter, information counseling and legal assistance, education, food security, and water, hygiene and sanitation. 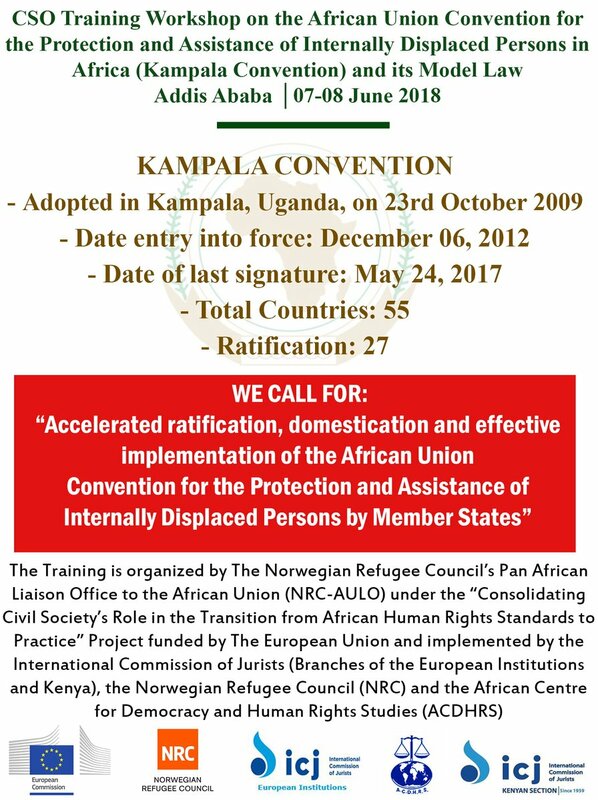 NRC- African Union Liaison Office (AULO) established in 2013- has a cooperation agreement signed with the African Union on issues related to displacement, protection, humanitarian response and disaster risk reduction. Located within the Partnerships and Policy department, the Pan African liaison office is to lead, manage, and facilitate relations between the NRC and the AU Commission (AUC), African Union (AU) member states, and the Regional Economic Communities (RECs).